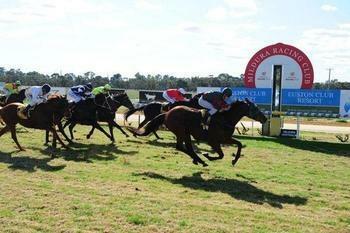 Well travelled galloper Peculatus broke through for an overdue win at Mildura. Peculatus was placed at Ballarat, Hamilton, Echuca, Warrnambool and Terang before his Mildura win but the five-year-old has also competed well at venues such as Mornington, Kilmore and Tatura. Peculatus raced over longer trips last time in but the gelding produced a terrific performance to notch his first win over 1300m in the National Jockey’s Trust Maiden Plate. Trainer Mandy Shillito booked Jacob Rule to partner the five-year-old in the $15,000 contest but the pair had to overcome the awkward draw of barrier 10. Rule was happy to get Peculatus into a good rhythm towards the back of the field while a strong gallop prevailed up front in the early and middle stages. Rule eased Peculatus to the middle of the track to improve from the 600m but the son of Golden Snake took time to get balanced in the straight. However, Peculatus charged home once he got balanced, sweeping past almost all of his opposition to score an impressive one-length win. Peculatus earned an $11,000 winner’s cheque for his terrific victory, taking his stakes tally to more than $23,900. Congratulations to Peculatus’s owners and all involved with his brilliant win.